Published: Feb. 24, 2015 at 10:04 a.m. Updated: Feb. 24, 2015 at 11:10 a.m. 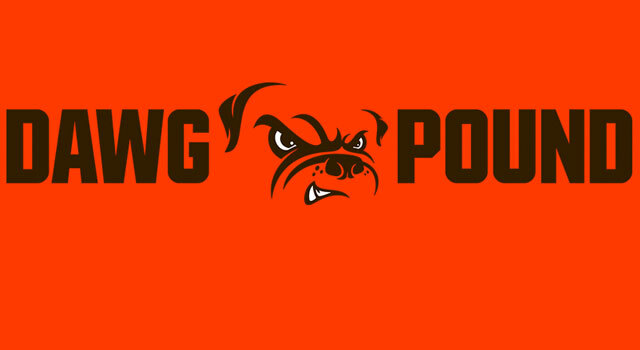 The Cleveland Browns released their new logo and new logo for the Dawg Pound on Tuesday. The much-anticipated revamp of Cleveland Browns logo has finally been released. The changes to the team's main logo are minor. The color orange has a slightly adjusted to a brighter shade. The facemask -- formerly gray -- is now brown. The Browns in a team release described the changes in color as "a new orange color that matches the passion of the Dawg Pound. The new brown facemask represents the strength and toughness of Cleveland." The team changed their secondary logo more drastically, going from a full-fledged face to the outline of a more snarling dog. The Browns wordmark consists of a stronger font sans outlining. "In redesigning our uniforms and modernizing our logos, our primary focus was honoring the Browns' cherished history and recognizing the transformation of Cleveland," said Browns president Alec Scheiner. "As always, we spent significant time engaging with our fans during this process and took a very methodical approach the past two years to determine certain core characteristics symbolic of our great city"
The changes are indeed minor and do not touch the classic helmet look by adding a logo. The team will unveil their new uniforms on April 14.